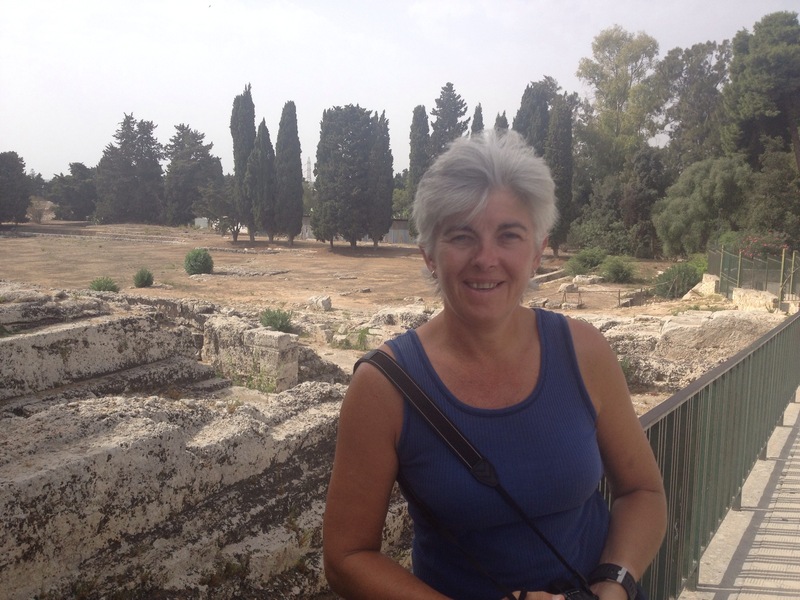 Yesterday, we decided that it would remiss of us not to explore the Ancient Greek ruins in Siracusa before heading on south. We spent the morning walking around the extensive site just to the west of the city. It was very enjoyable although the 34 degree heat wasn’t. 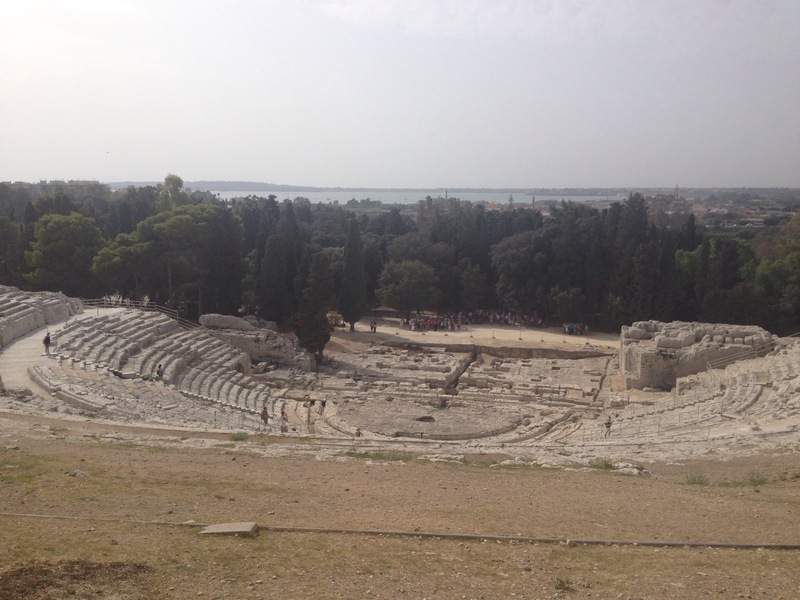 The Greek theatre was one of the largest in the ancient world and is still used today. There was also the largest sacrificial altar in Roman times where they would slaughter up to 450 bulls at a time. Not a great time to be a bovine! We got back to the boat as the sea breeze started to build and made our way south. Liz wanted to look at a few beaches on the way but it had become overcast so not great for beach viewing. We decided to make our way directly to Malta, some 80 plus miles away. The forecast was for force 5/6 from the ENE and we were going SW. The sea was building but it should mean we could surf the waves and go even faster. We just put out part of the genoa and we were soon screaming along between 6 and 7 knots. As darkness grew, it became more difficult to read the sea but we trusted in Nimmie and knew we would be safe. It’s a bit like skiing when you can’t see very well so you bend your knees and let your experience guide you. 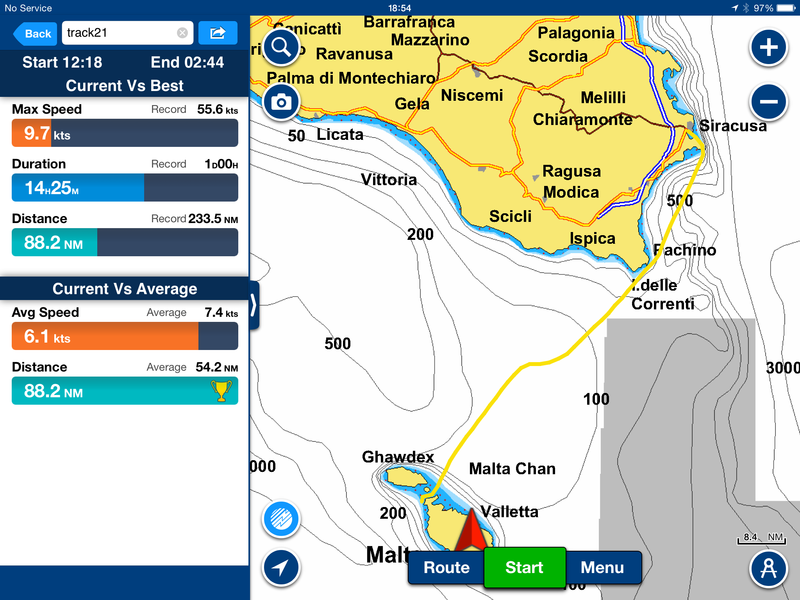 The channel between Sicily and Malta is quite busy but the AIS on the chart plotter helped a lot. We arrived in Malta around 2am and now had to find somewhere to anchor for a few hours. Several anchorages were too crowded or too small (it’s so difficult to judge distance in the dark) but we found one that was empty. Jo got a few hours kip but Liz wanted to stay awake to check we were safe. As it happens, the anchor was actually caught under a rock – this is when we realised that the spot we had found was not an anchorage at all! We did get the anchor out but it took a while. We then spent the morning doing a recce on the various beaches for future reference. The weather is supposed to deteriorate over the next few days so we decided to go in early to our winter berth, refuelling on the way as it was a lot cheaper than Italy. We are currently in Msida Creek in a visitor’s berth until our long stay berth becomes free. We washed Nimmie within an each of her life as she (and us) were completely salt encrusted! Pictures below of our track to Malta and pictures of the theatre and altar plus an ancient ruin! This entry was posted in News and tagged 2014, Italy, Malta, Med, Sicily. Bookmark the permalink. 1 Response to Malta here we come!